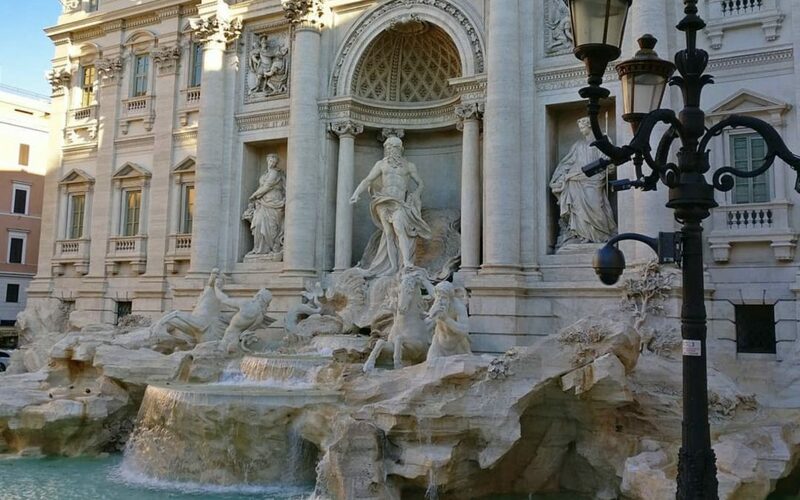 Most Beautiful Fountains in Rome, so many and rich in charm! Most beautiful Fountains in Rome? not easy to say! Rome is doubtless the city of fountains par excellence. The cult of water for centuries has been linked to the power of the Roman emperors. 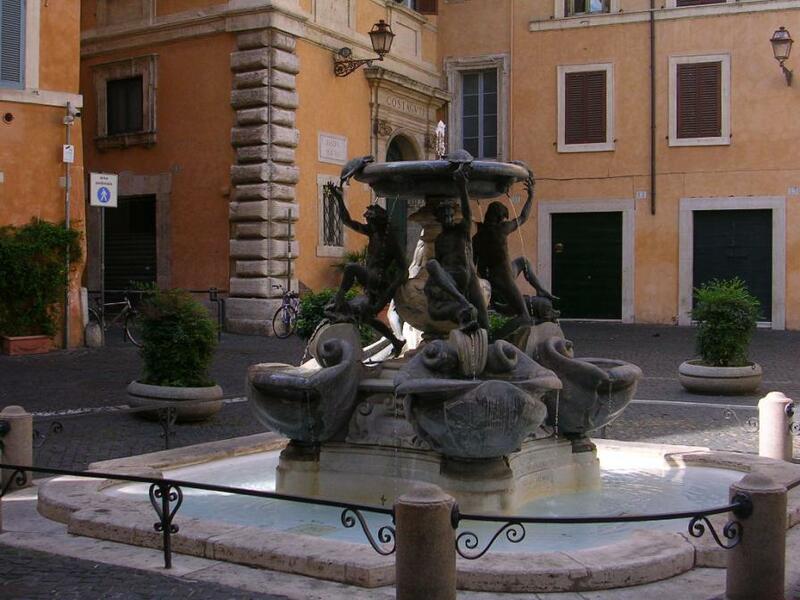 The Fountains of Rome are many, beautiful and very rich in charm. 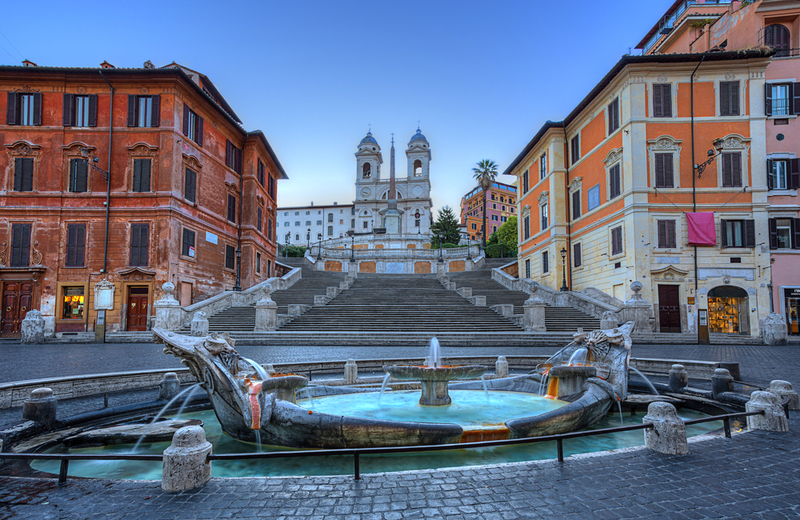 Taking into account only the best known, there are 110 fountains on the streets of Rome! Like all ancient peoples, even for the Romans water was considered a gift from the gods, and therefore sacred. The current fountains had a specified beginning when, due to the need to collect the spring waters, the first interventions of channelling, drainage and storage of the waters were activated. After a first construction with the sole useful purpose, the Romans began to embellish them, making them real artistic monuments. So let’s leave for a walk to discover the most beautiful and most photographed fountains in Rome. After a series of projects, in 1640 Pope Urban VII ordered Gian Lorenzo Bernini to take care of the reconstruction of the square and the fountain. The expensive works of Bernini were possible thanks to funding from a very odious tax upon wine imposed on the Romans. However, the funding was not sufficient to complete the initially designed works. It took another hundred years for Clement XII to take back the fortunes of the square and the fountain, but only his successor Clement XIII could celebrate the conclusion of the project. In the center of Fontana di Trevi, inside a niche, stands the statue of Oceano, represented with a powerful body and proud look, as if he were a god, while two horses winged pull him. Behind him, the two statues of women depict Health and Abundance. The Trevi Fountain has become a global icon thanks to its appearances on the big screen. Unforgettable is the scene taken from the Dolce Vita by Federico Fellini, in, which a beautiful Anita Ekberg dives into the tub, inviting Marcello Mastroianni to do the same. The cinema has helped to stop time, making that moment eternal framed by a crazy scenic design like that of the Trevi Fountain. Just 10 minutes away we can reach the second stage of our open-air tour. Let’s now move on to another of the most famous fountains in Rome, the Fontana della Barcaccia located in Piazza di Spagna. Restored the second aqueduct of Acqua Paola, Urban VIII commissioned Pietro Bernini to build a fountain in the square below the church of the Trinità dei Monti, still without the monumental staircase. Bernini built this fountain to be slightly below street level due to the low water pressure from the aqueduct. The name barcaccia derives from its shape that could have been inspired by a boat in dryness, carried so far by a full or, even by that type of boat that in the Ancient Rome was used for the river transport of wine. 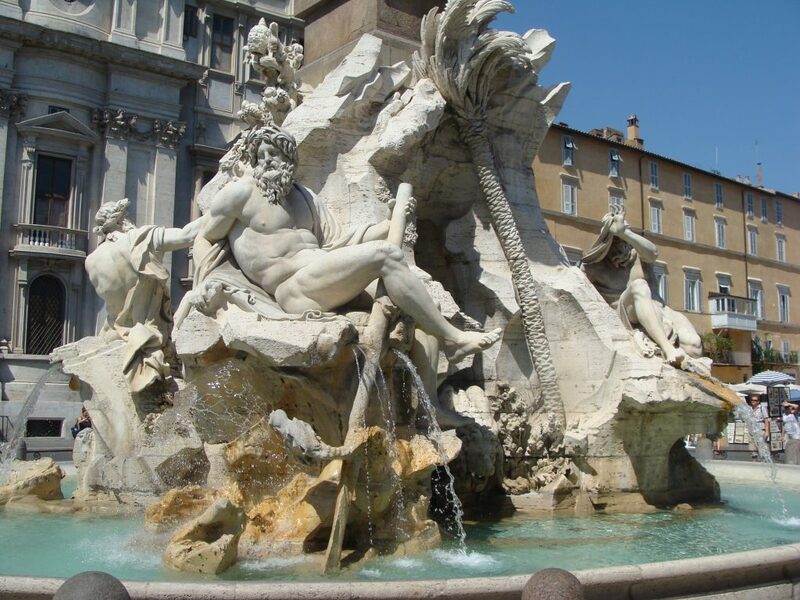 Among the most beautiful fountains in Rome we find the fountains situated in Piazza Navona is just over a mile away. At the centre of this baroque square stands the Fountain of the Four Rivers. It was designed in 1651 by GianLorenzo Bernini. The nudes represent the allegories of the four main rivers of the Earth, one for each of the then known continents, represented by marble giants that sit on the rock: the Nile, the Ganges, the Danube and the Rio de la Plata. Turning around this beautiful fountain, we will notice the presence of seven animal creatures: the crocodile, the sea snake, the horse, the earth snake, the dolphin, the dragon and the lion. The position chosen by Bernini wants to arouse wonder in those who admire the fountain, giving life to the imitation of a natural reality. This group of statues acts as a pedestal and supports the Roman imitation of the Egyptian obelisk, discovered in 1647 in Circus Maxentius on the Via Appia. 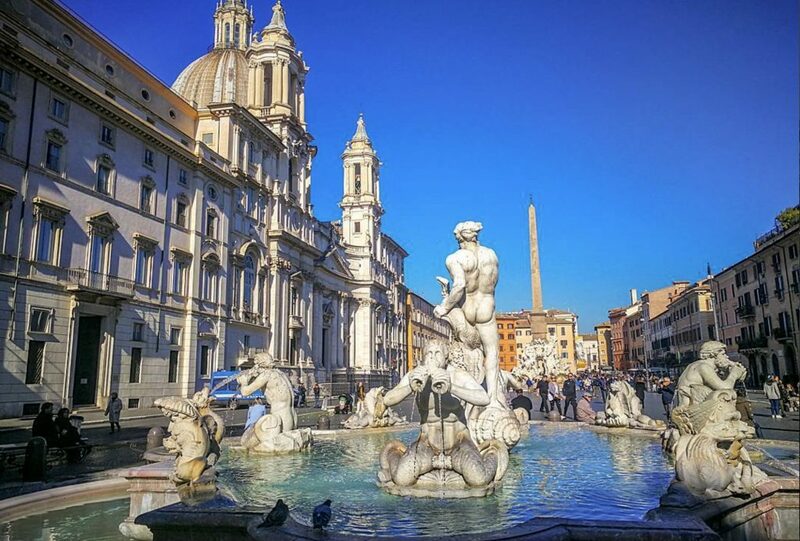 At the sides of Piazza Navona there are two other fountains, the Moor Fountain and the Fontain of Neptun smaller than the Fountain of the Four Rivers and both designed by Giacomo della Porta, based on a project by Bernini. Piazza Mattei, a small square located about 10 minutes away, welcomes another small water treasure of the city: the Turtle Fountain. Perhaps performed on a drawing by Raphael, the fountain carries a legend. Story goes that Duke Mattei, a great gambler, in a night managed to lose everything, including the building in which he lived. The news of the radical loss reached the ears of his father-in-law, who refused to give him his daughter in marriage. The duke, in order to redeem himself from this defeat, promised that as in the course of one night he had lost his palace, so in the same way a night would have been enough to build a fountain in front of his house. And so it happened. Only decades later it was possible to discover the Duke’s trick. In fact, the fountain had already been built years earlier than our story, and Signor Mattei did nothing but move it in front of his palace. 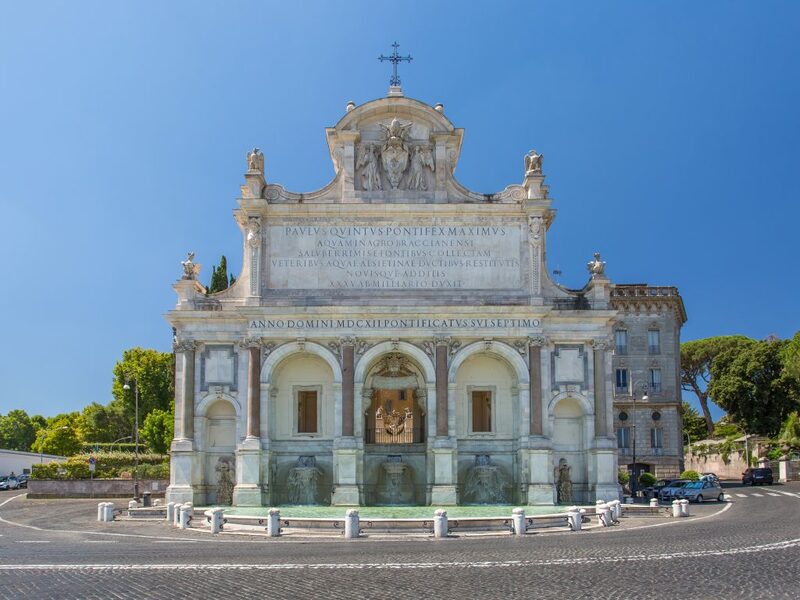 We now cross Ponte Sisto, skirt the beautiful Basilica of Santa Maria in Trastevere and after a walk of just two kilometres we will be in front of the last fountain of our particular tour: the Fontana dell’Acqua Paola (The big fountain). Giovanni Fontana, Flaminio Ponzio, worked on it in the early 1600s. Carlo Fontana later modified the prospectus, giving it the current status. Often, this fount is remembered for an error in the inscription; it is in fact mentioned the restoration of the alsietino aqueduct while in reality to be restored it was the ancient Trajan water. This fountain is so beautiful that it was chosen for the opening scene of the Italian Paolo-Sorrentino-movie La Grande Bellezza. In about an hour you will be able to discover beautiful places, not always known, of an eternally magical Rome. 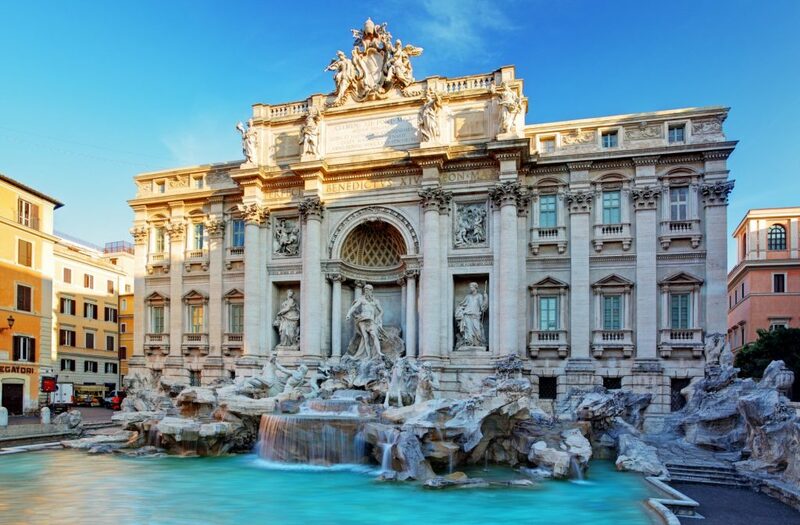 And if you want to know all the details of the most beautiful fountains in Rome, you can also book a guided tour of the city to admire and learn details, curiosities and history of these fascinating symbols of Rome. Do you want to get some other suggestions about Rome sightseeing? Read my article Ten absolutely must-see sites in Rome!